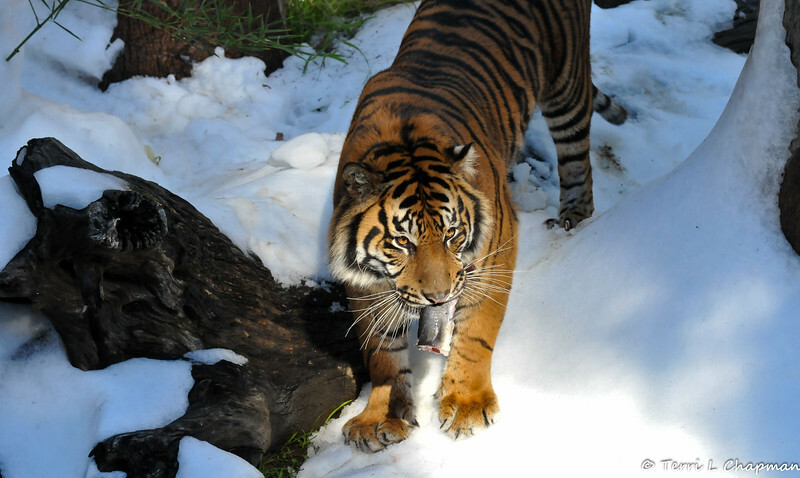 February 24, 2015 marked Snow Day at the Los Angeles Zoo!! This 2 year old, male Sumatran Tiger, was born at the Sacramento Zoo, and transferred to the Los Angeles Zoo in late 2014 to be apart of their breeding program. "C.J" was placed on exhibit for Snow Day and he had a great time in the snow. He is so beautiful! !